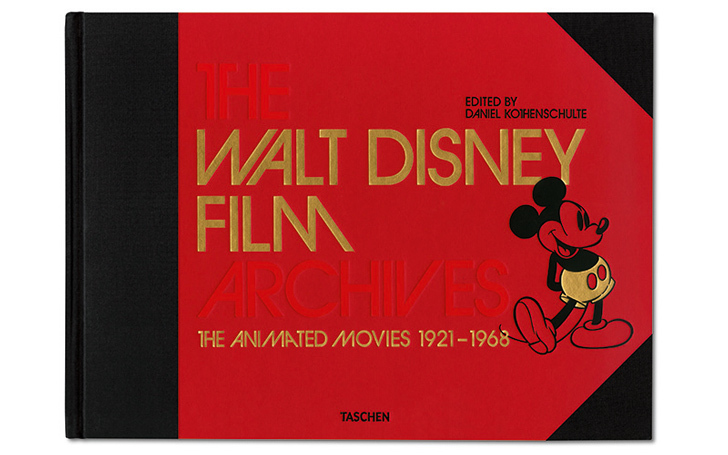 Opening The Walt Disney Film Archives: The Animated Movies 1921-1968, a magnificent new book from art book publisher Taschen, is so complicated it warrants an unboxing video. Several minutes of careful dissection—first through the outer box and then into the protective carrying case with the built-in handle—lead to a 14 pound treasure more than three feet wide and stuffed with the contents of Walt Disney’s entire film career. Editor Daniel Kothenschulte spent years curating thousands of images that capture Walt’s creative output, from his early Laugh-O-Gram shorts to his final feature, The Jungle Book. 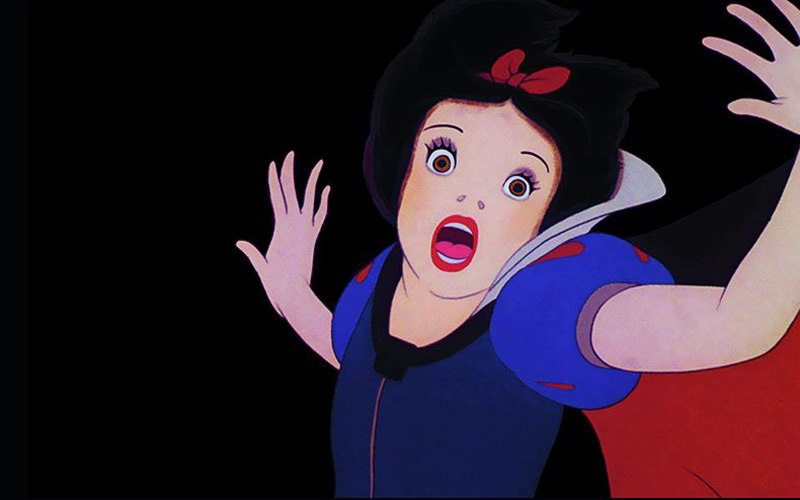 The book opens with outlines of the diminutive gentlemen from Snow White and the Seven Dwarfs. Sketches and notes never meant to be seen by the public explain the nuance behind each stroke of the pencil and reveal the secret sauce behind Disney animation. 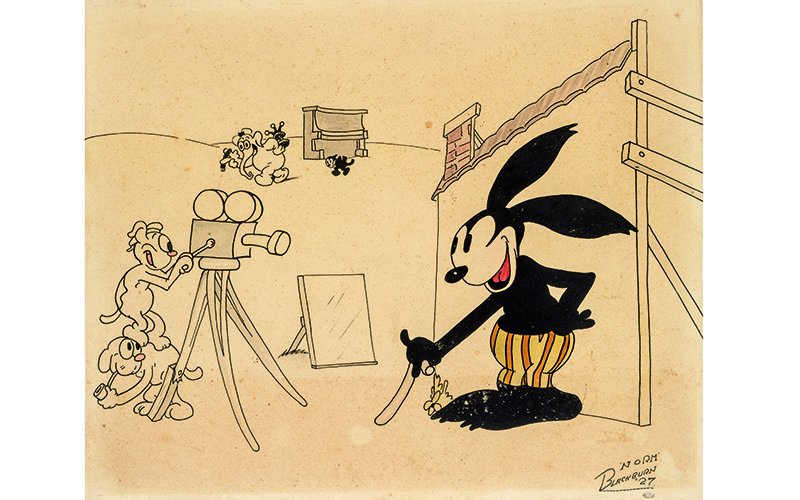 Many of the worn and torn images of Oswald the Lucky Rabbit are covered in grease marker and help show the many hands that went into creating these icons. 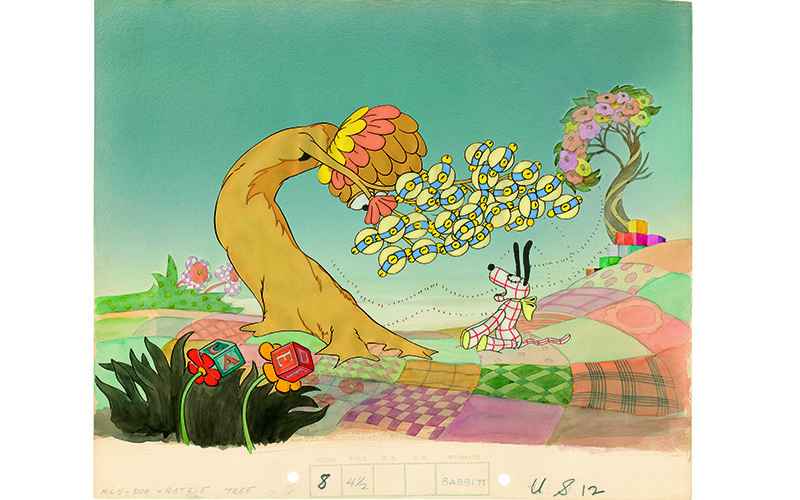 From the jazz age to the psychedelic era, Disney features opened with beautiful hand-painted title cards, all of which have been included in the book. Since most of the original cels were destroyed upon completion of the films, it’s remarkable so much material—in addition to storyboards, sketches, and personal photos—survives. The archival materials are impossibly rare and beautiful, always reproduced with the richest colors and sharpest focus. Photographs that are nearly a century old are so clear that you can easily read reflections in shop windows. The level of detail within the drawings and stills themselves is astounding. The preliminary drawings of the witch’s castle from Snow White—full of astrology, magic, and secret carvings—are fantastic, as is the concept art for Pinocchio, Melody Time, and The Legend of Sleepy Hollow. The diverse styles of so many artists working in close quarters is mind-boggling, and their work ranges from impressionistic to adorable to macabre. 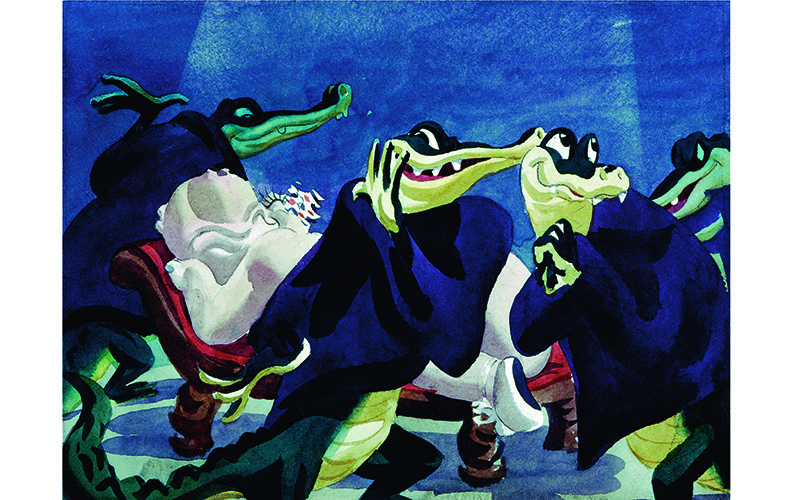 A deleted scene from Pinocchio (1940) that survives in masterful watercolor story sketches by color stylist Lee Blair. 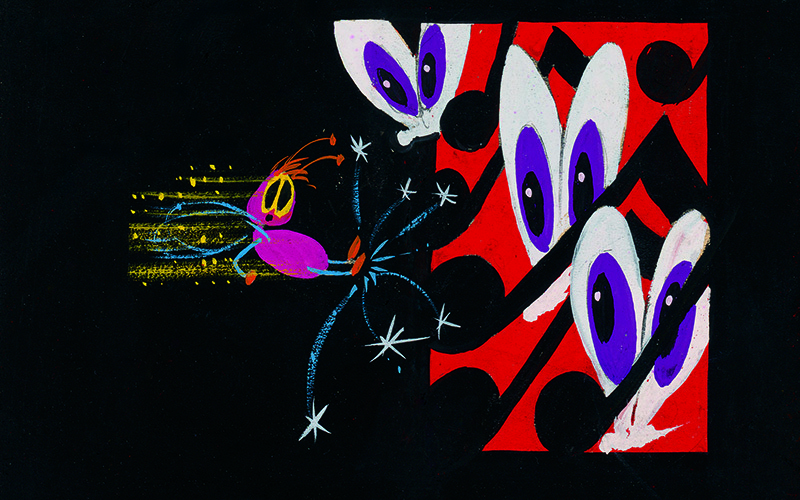 Melody Time continues the Disney studio’s experimentation with abstract animation earlier explored in Fantasia and Make Mine Music. Walt’s influence is evident on every page. Reading his notes sheds light on his technique. You are transported back to Silver Lake in the ’20s and Burbank in the ’30s and Walt is there every step of the way. “We were there,” composer Richard Sherman says in an interview, “and it was wonderful.” The book includes thoughts from original animators, and essays by more than a dozen of the most respected voices in cartoon history, from film critic Leonard Maltin to Disney Archives founder Dave Smith. 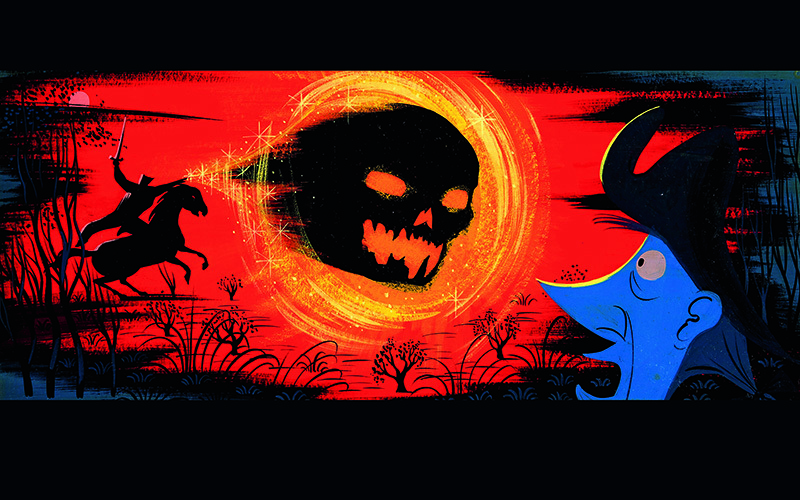 By the time I flipped to Fantasia it took a lot of self-control to not start tearing out pages to pin to the wall. 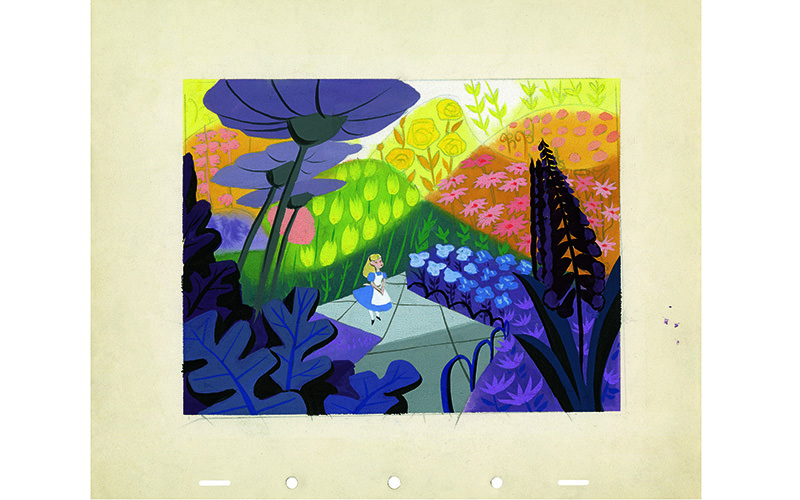 When I saw Mary Blair’s glorious paintings for Alice in Wonderland I was looking for the X-Acto, and when Eyvind Earle’s artful backgrounds for Sleeping Beauty appeared I nearly called the frame shop. 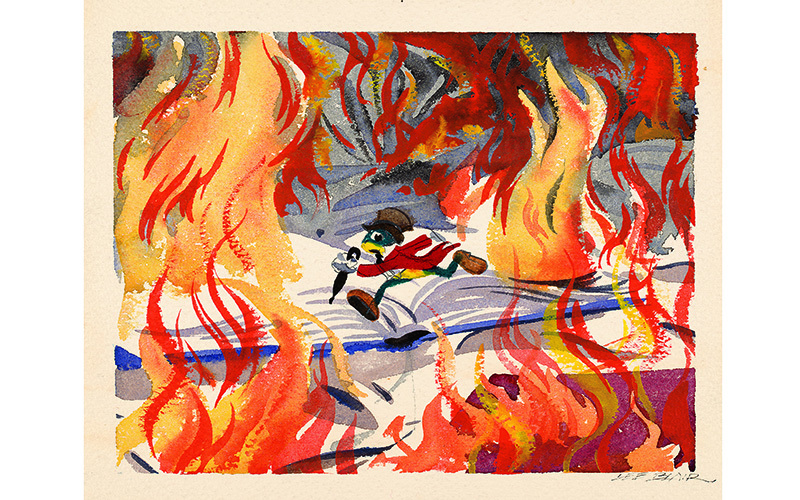 The book is insightful, exhaustive, and stunningly gorgeous—whether you like cartoons or not. 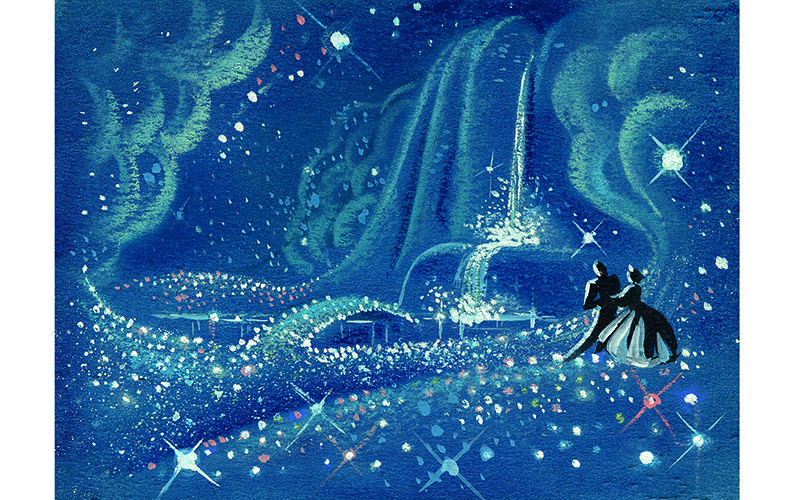 Fantasia: Lee Blair was a master of watercolor technique. 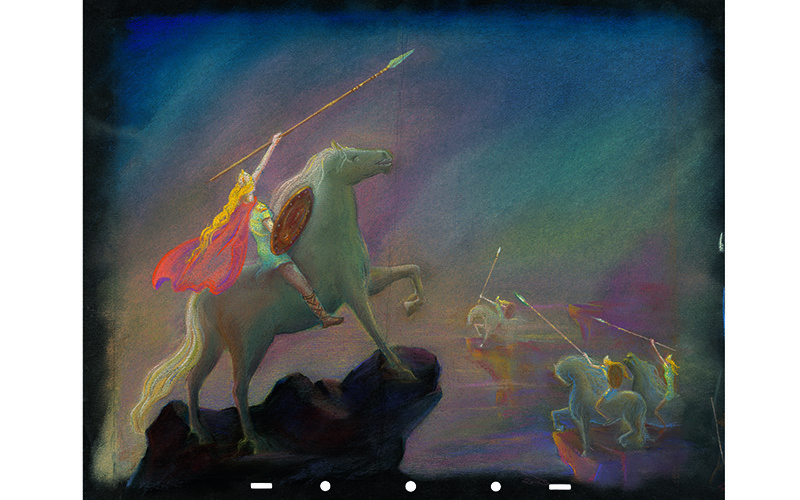 His colored story sketches set the tone for the eventual sequence’s color design. Chris Nichols is City Scholar at Los Angeles magazine. You can follow him on Twitter and Instagram. He likes to help save old buildings. 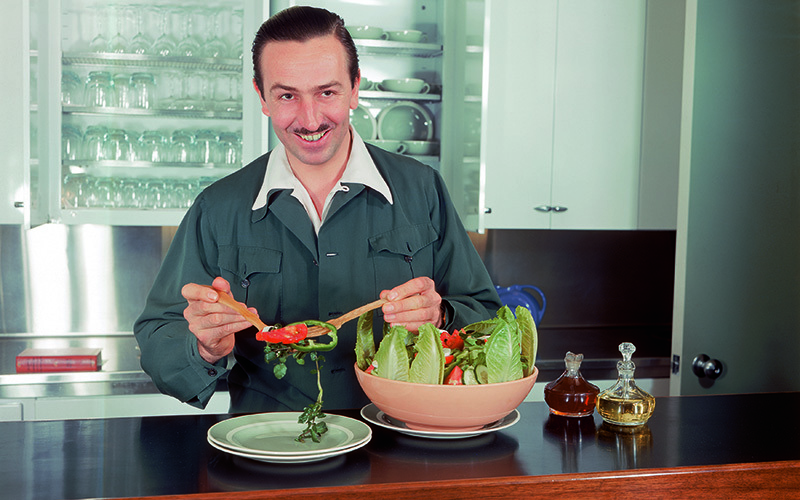 He is the author of a forthcoming TASCHEN book on Disneyland.